Whichever mobile operator wins government funding for rural coverage following the upcoming 4G spectrum auction may have to allow the others’ customers free access to it. In addition to the national roaming obligation, Ofcom is also considering asking government to set aside money from the auction to pay to increase present mobile coverage. An Ofcom spokesman said the regulator is presently considering, rather than consulting on the national roaming issue. Ofcom says it has the power to impose such an undertaking unilaterally, but would like to bring the government along with its decision. It says the government has sovereign powers over how the money from the auction will be spent. This has emerged from correspondence between Ofcom and the Communications Consumer Panel seen by Br0kenTeleph0n3. Chancellor George Osborne has promised £150m to expand mobile coverage, but hasn’t said where that might come from. Some analysts believe the 4G auction will raise around £4bn, and according to Br0kenTeleph0n3’s sums, there is about £74.2m unallocated in BDUK’s £530m budget for rural broadband projects. Communications Consumer Panel (CCP) chairman Bob Warner wrote to Ofcom in July expressing concern that the auction, now delayed until late 2012, will not result in mobile coverage beyond the present 2G footprint, which covers about 90% of the population. He said that basic voice coverage issues of 10 years ago still existed. This was because mobile operators, faced with the need to recover the £22.4bn they paid in 3G licence fees, none of which went into network building, had switched their priorities to rolling out 3G in more populated areas. “We do not believe that the current coverage on 2G meets the legitimate aspirations of consumers or the needs of small businesses,” Warner wrote. Mobile operators and others had told the CCP that current 2G coverage was at its “commercially economic limit” and was unlikely to be “significantly extended” following the 4G auction, he warned Ofcom. 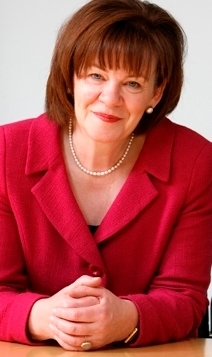 Ofcom chairman Colette Bowe replied in September that Ofcom shared the CCP’s assessment. “Whilst we agree with you that something needs to be done to improve mobile coverage in rural areas, we believe such action needs to be proportionate and implemented in the most cost effective and efficient manner possible,” Bowe replied. She agreed that if only one network received funding to extend 2G mobile coverage, it was unlikely that others would follow. “Therefore without national roaming, this coverage would be unlikely to be available to the customers of all mobile networks. “We are therefore indeed giving careful consideration to the need for some form of roaming obligation on any network funded to provide coverage beyond today’s 2G coverage,” she replied. The exchange of letters is a sequel to Penrith & The Border MP Rory Stewart’s Commons unanimous motion to boost mobile coverage from 90% to 98% of the population. The CCP estimated the cost of adding the required 1,400 extra base stations at £250m, which could come from the auction fees, it said. Bowe said the figures had to be confirmed. Gil Hayward, one of the Post Office engineers who built the Tunny decoding machines that decrypted German High Command messages at Bletchley Park (Station X) during World War Two, has died aged 93. Hayward was also responsible for helping to rebuild the National Museum of Computing’s Tunny machine. Colossus, the world’s first stored program electronic computer, suggested wheel settings by used the Germans’ Lorenz cipher machine to encrypt messages, A bank of Tunny machines tested these suggested settings on the captured cipher texts and eventually decrypted most of them. A fuller and more fitting obituary is here. News that Europe is preparing a €9.2bn kitty to get broadband from where we are now to everyone having 30Mbps and half of us with 100Mbps left me underwhelmed and puzzled. Over the weekend I tried to work out from public sources exactly what the UK has budgeted to get the entire country up to 2Mbps guaranteed – almost £3.58bn, not including our share of the proposed Euro-kitty. If you reckon that we should be able to get at least £500m in matched funding or other “slush funds”, that is pretty close to the £4bn total people were whispering in my ear three years ago. This is short of the £5bn-odd the Broadband Stakeholder Group said it would cost for national broadband access based on fibre to the cabinet, and a long way short of the almost £30bn for fibre to the home. For months Digital Agenda champion Neelie Kroes has been asking telco bosses how much for 100Mbps. They have replied, “Well, it depends, but more than you think,” while continuing to sweat their copper assets. I think we can safely say that when it comes to the final bill for 100Mbps broadband, everyone is guessing, and few are telling the whole truth. The truth is hard to establish. For instance, looking at Northern Ireland, which is relatively simple, one can see many potential sources of finance: BT, various government departments, and a bunch of European purses as well. This table is taken from Northern Ireland’s department of enterprise, trade & investment (Deti) web page on superfast broadband. Below is what I think is the UK’s broadband budget to 2015. I have assumed that BT’s contribution in Northern Ireland is part of its £2.5bn Next Generation Access budget to 2015, and excluded the £2.5bn it will probably spend on normal network build and maintenance. If anyone can improve the accuracy of the tables here, please feel free to point out any errors. And if anyone wants the allocations to English counties, please let me know. If anyone has the Scottish and Welsh allocations, I’d be happy to put them up here. As for Northern Ireland, well, that’s pretty much all BT’s, I believe. This may include double counting of BT’s £78.5m contribution to Cornwall, which probably comes from its £2.5bn headline Next Generation Access budget. It also excludes provision for matched funding that DCMS/BDUK expects to elicit from companies that bid for bits of the DCMS’s £530m. How much BT kicks in in matched funds will probably come from its NGA budget, so will not increase the pot at all. It also excludes projects such as B4RN, which will start seeking investors in November for its proposed community-owned 1Gbps fibre to the home network. Many suspected but there was no proof until now: Broadband Delivery UK, the government body charged with procuring the “best superfast broadband network in Europe” by 2015, intends to preserve BT’s monopoly on physical communications networks throughout most of geographic Britain. This means service providers who want to deliver terrestrial services to rural areas will have to use the physical network owned and run by BT’s Openreach. End users’ choices will be determined exclusively by Openreach’s capabilities and willingness to do business with service providers. This was revealed in the document in which BDUK outlined its delivery model, dated May and published last month. The key part of that statement is “data transport”. 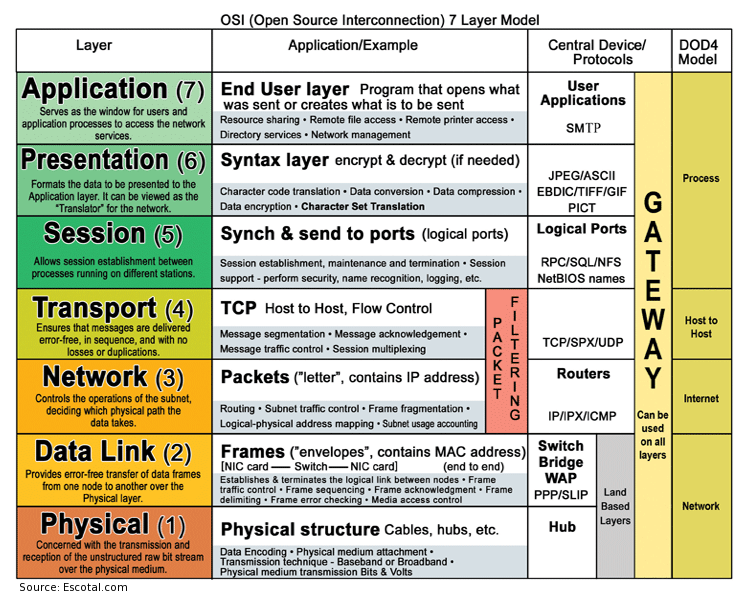 In the OSI seven layer standards model of networks, this is Layer 2, immediately above the standards for physical items such as cables, fibres, routers and electricity (see picture). BDUK’s statement means that all its efforts and money will be directed at encouraging service providers to rent their access to end users from Openreach. This means BT will continue to have the final say over who can sell what to whom, despite Openreach’s “functional separation” from the rest of BT. Openreach was slower to separate business-oriented systems from residential ones. To be fair, Openreach does have competitors. These include the mobile network operators, satellite operator BSkyB, wireless broadband operators such as Kijoma in Sussex, who control their own wireless access to end users, and scores of operators who have taken advantage of local loop unbundling. But these firms mostly need to use Openreach for “middle mile” backhaul to the core national networks and are therefore competitively vulnerable. BT’s most dangerous competitor is cable TV operator Virgin Media, whose core fibre network, coupled with coaxial cable from the street cabinet to premises, covers about two-thirds of the population and offers higher speeds and better reliability. There are a few tiny community-based initiatives, such as B4RN, which is seeking private funding to build a 1Gbps fibre to the home network for up to several hundred homes and farms in rural Lancashire. They plan this network to be completely independent of BT. The people behind B4RN are right to pursue private funding. The BDUK delivery model document, and the qualification thresholds of the broadband procurement framework it is developing, makes it clear that B4RN will never receive any of the £830m seed money BDUK has to achieve it’s top priority of stimulating investment in the UK’s broadband infrastructure. It might get a slice of the £20m that Defra has, but pinning their hopes on that would be foolish. If this was not enough, the prices, terms and conditions of Openreach’s revised reference offer for renting its physical infrastructure (poles, ducts, floor space in exchanges and street cabinets etc, aka physical infrastructure access or PIA) should leave no doubt. BT halved some prices but introduced new ones and raised others. BT spokesmen say there are “no restrictions” on what end users or businesses may do with any copper cables they add to Openreach’s ducts, but any fibre they put in may be used only to service homes. DCMS minister Jeremy Hunt has already made public his displeasure at the length of time Ofcom has allowed Openreach to revise its initial offer. It took Openreach three months from October 2010 to the end of January 2011 to produce its initial reference offer. This was rejected almost at once by its potential PIA customers as being too expensive and restrictive. It then took nine months until October to produce the revision. BT argues that it wanted potential customers to test the system; critics such as the Communications Management Association, which speaks for business users, say the trials were an irrelevant delaying tactic aimed at introducing uncertainty to competitors’ bids for BDUK money. BT says it can get copper to go faster. It might. But it would appear that people living at the end of long local copper loops will never enjoy those speeds from BT. Obviously, not many people will suffer this. Why then are they not allowed, even encouraged, to find their own solutions? The apparent lack of official concern about BT stonewalling, the impunity with which BT has been able to stifle community or competitor broadband projects, and BT statements in Europe about its commitment to copper amount to one thing: some people in high places have been convinced that BT is too big to fail. Like the iniquitous business rates tax, that amounts to yet another tax on Britain’s economic capacity. Can the country really afford it at this time? B4RN’s Chris Conder points out that B4RN is offering subscribers a 1Gbps service from the start, and that although the first phase is expected to service 1,300 homes, the network is specified to 200,000. This leaves plenty of room for the several thousand homes within B4RN’s reach. I have corrected the speed figure in the article above. I recently wrote a case study on how Lyse Energi, a Norwegian energy company became the country’s leading supplier of broadband. The story was commissioned by the FTTH Council in Europe. Unfortunately, they had to cut it for space reasons, so I thank them for permission to print the full version here. 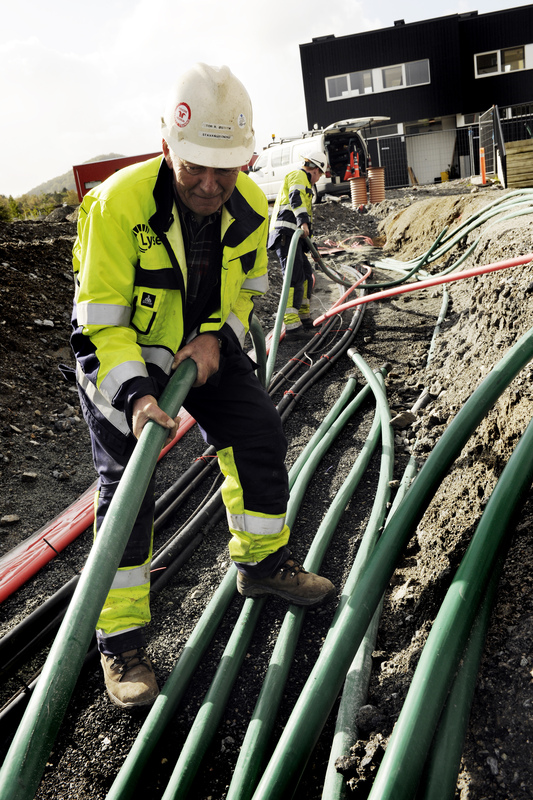 It is almost 10 years since Lyse Energi, the Norwegian regional energy supplier, decided to enter the communications market, and to do so using the most expensive networking technology available – point to point Ethernet over optical fiber with symmetrical speeds up and down the network. That gamble is paying off. After spending nearly NOK2bn (€264.3m) on plant and equipment, Lyse now holds 43% of the Norwegian fiber market directly, and another 24% through resellers and partners. At 250,000, thanks to Altibox, its wholly-owned broadband subsidiary, Lyse now claims almost twice the number broadband customers compared to its energy customers. This gives it about 13.4% of the total Norwegian broadband market, a penetration rate of around 70% of homes passed, and commands attention in the boardroom. Altibox CEO Leif Aarthun Ims puts this success down to two things: the strength of the 42 partnerships, 36 in Norway and six in Denmark, that Lyse has formed with other regional power utilities on fiber-based broadband, and their willingness to be patient investors. Lyse developed the concept of Altibox, a fiber-based triple-play (high speed internet, TV and voice) with extras, that it could sell to its own energy customers, and through other regional power companies. Mr Ims says the move was a response to the threat of deregulation in the power sector. This threatened to introduce competition, and Lyse wanted to develop other sources of revenue. Telecommunications was a natural fit because it was an infrastructure play, and Lyse was expert at installing and operating infrastructure, he says. Lyse looked at passive optical networking (PON), a cheaper point to multipoint technology, but rejected it. The customer premises equipment was too complicated, the difference in fiber and equipment costs was marginal, and the technology wasn’t as easy or cheap to upgrade, Mr Ims says. Despite its success, Lyse remains cautious. It still won’t start network construction in a new area unless it is close to an existing point of presence, and 60% of potential subscribers sign up. But allowing residents to cut their connection costs by digging their own trenches (to an Altibox specification) helps to win commitment. Altibox has continuously increased the raw speed on the network. Starting in 2002 with 2Mbps, it upgraded to 4Mbps in 2004, to 6Mbps in 2005 and to 10Mbps in 2007. After testing 1Gbps in 2008, it launched a 400Mbps service in 2010, and raised its basic rate to 25Mbps. High speed access is merely the medium for content delivery, up and down the network. Altibox has built out its content offering hugely. After beginning with 40 TV channels, today there are 150, as well as games, football, various on-demand services such as films, personal video recording, 3D, business video and interactive multiscreen services. In addition, more customers are uploading their own video to sites such as YouTube. Video is now about 40% of Altibox’s traffic, and Mr Ims expects that share to grow. Cisco, an equipment maker, predicts that 91% of all internet traffic will be video by 2014. Fiber is the only possible medium for future TV, whose high definition, 3D nature will require speeds of 200Mbps to 600Mbps, he says. Filling out the present product range are voice services (two VoIP lines) plus a mobile telephone and broadband service, and a fire and burglar alarm service. Given the choice of services and packages, there is a wide range of prices on offer. 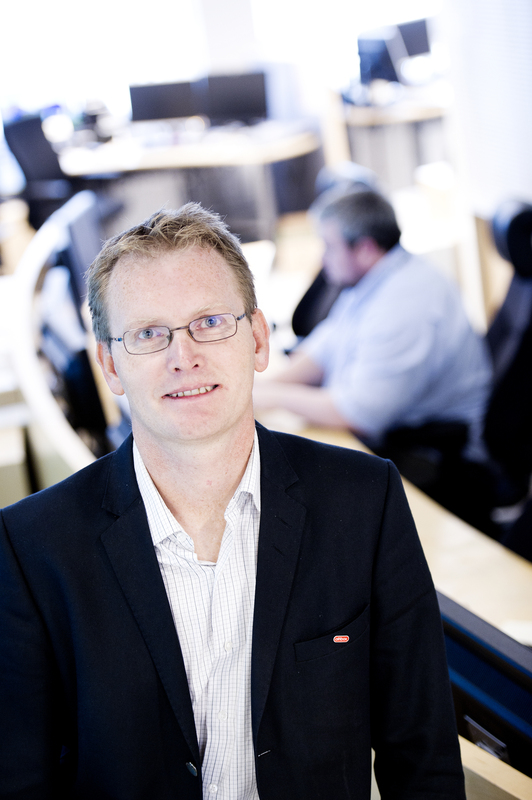 Mr Ims says the average revenue per user is between NOK750 (€99) and NOK800 (€106) per month. Which is not much unless you are a patient investor. So the emphasis now is on extending the present network and up-selling existing customers. The customer profile lends itself to this strategy. Altibox households have about 27% higher income that average Norwegians. That suggests the 15% penetration rate of alarms in Norway is a tribute to its social harmony and policing. Even so, “We could do 25%,” Mr Ims says. Mr Ims says he will consider extending the network to communities as small as 300 or 400 houses, provided there is a nearby point of presence. But it’s not cheap. Mr Ims says it costs about NOK25,000 (€3,300) or between US$4,500 and US$5,000 to add a customer. “Generally, we can get about 40 new Norwegian customers for every NOK1m (€132,000) we spend,” he says. The reorganisation makes it hard to compare the financial contribution of telecommunications to Lyse’s overall performance. However, Mr Ims says that in its home market around Stavanger, the company is cash positive and heading towards its target break-even period of 10 years. In other regions, the partners have different investment criteria, with pay-back periods as low as eight years and as high as 12. Success breeds envy, and Altibox is no exception. With only 2.2 million households, Norway’s communications market is small and, with at least seven telcos, some would say saturated with competition. Mr Ims says the incumbent telco didn’t respond to Altibox, waiting eight years before starting to install VDSL and later fiber. “In a way, the fiber market lay open to us,” he says. “Today we have the most loyal and the most satisfied internet and TV customers in the Norwegian market,” he says. Mr Ims is not resting on his laurels. There are already fiber links to Stockholm and Copenhagen with spare capacity. The introduction of 4G mobile telephony, with its thirst for high speed backhaul, is another opportunity. So too is the emerging smart grid to manage households’ energy consumption. Mr Ims acknowledges that these are all potential applications that could drive network expansion and revenue growth. “But we are not there yet,” he cautions. Nonetheless, Altibox’s parent company has prepared itself. In January 2011 Lyse reorganised its energy and telecommunications operations into smaller, more focused firms. Altibox, to develop fiber-based content products and sell them to Lyse subsidiaries and partners, in effect wholesaling the Altibox concept to third parties. Most companies are a product of their unique market ecosystems, so is Altibox’s success repeatable elsewhere? “It should be absolutely reproducible in other countries,” says Mr Ims. Delays to the 4G spectrum auction have cost British businesses £732m a year, and the latest three to six month delay will add between £183m and £366m, a policy think-tank says. Open Digital, an independent policy think-tank, said the UK was losing competitive ground to a host of European and other countries that have already allocated 4G spectrum. The extra speed offered by 4G could save 37 million business hours worth £732m a year, Open Digital calculated. The UK was four years behind the Nordic countries and three years behind the US in 4G roll-outs, the think-tank said. This has allowed their businesses to save time and money by using high speed mobile broadband to do business and develop new businesses. “Visitors to Britain will first notice London’s lack of 4G mobile data when they arrive for the Olympics next year,” said James Firth, report co-author and CEO of Open Digital. Several industry observers, including Three CEO David Dyson, have warned that UK’s mobile networks will run out of capacity by the Olympics. Last week O2 said it was spending £50m to boost capacity for the Olympics. Firth welcomed the £150m extra for rural mobile roll-out promised today by the chancellor, George Osborne. Osborne said this would help the country to expand mobile coverage from 95% to 99%. But Firth noted that the auction for 4G spectrum (800MHz and 2.6GHz) was not expected until mid-2012, and for network build to start only in 2013,and not finish until 2017. “4G has significant advantages – better spectral efficiency so you can cram more bandwidth in the same amount of spectrum and far less noticeable performance penalty when you’re a few miles from the transmitter, so rural ‘fringe’ communities should see far faster mobile broadband. “But the auctions for 4G spectrum are yet to be held, so it’s probably a good second-best to widen the 3.5G coverage now, while we’re waiting for 4G,” Firth said. The on-going lack of 4G has meant UK businesses has not been able to take full advantage of new technologies such as cloud computing, he said. Firth called on Ofcom to adopt more ambitious 4G roll-out targets and for the government to acknowledge the massive benefit to the economy from 4G mobile data. Will EC consultations stall UK progress on access to BT poles and ducts? Ecta, the European Competitive Telecommunications operators’ association, has welcomed European Commission moves to lower the wholesale price of access to incumbent telcos’ infrastructure, but has warned against overcompensating them with “excess profits” on their fibre networks. Ecta said it was unnecessary to allow “excessive profit” to compensate for any revenue lost to lower prices for infrastructure access. “All that investors need is a fair return, not excessive profits,” it said. Being “over-generous” risked pushing fibre prices out of consumers’ reach and would undermine the Digital Agenda targets, it warned. Digital Agenda champion Neelie Kroes this morning published two consultations designed to create a level playing field across Europe for infrastructure access prices. These could vary from €5.21 a month in Lithuania to €12.41 a month in Ireland for wholesale access to the local loop. She did not believe that these differences between countries could be explained solely by variations in underlying costs. The first consultation deals with alternative operators’ open (non-discriminatory) access to the infrastructure and services of dominant telecom operators. The second deals with how national regulators calculate prices that operators have to pay for this wholesale access. Kroes wants a standard system to operate across Europe. Telcos could also soon have access to €9bn through the “Connecting Europe Facility” proposal now before the Council of Ministers and European Parliament. Kroes’s Digital Agenda targets are to have all Europeans with access to 30Mbps broadband by 2015, and to have 50% using 100Mbps services by 2020. Kroes appears to have largely accepted Ecta’s argument, presented in June, that incumbent telcos have sweated their copper assets, and only invested in faster fibre networks once cable TV operators and “triple play” services (fixed line voice, TV and broadband) threatened their market share. However, she has also given ear to incumbents’ pleas for protection of any investment in fibre. The irony here is that many Ecta members are incumbent operators in their home countries. While they want prise open access to their off-shore competitors’ networks, they are fighting hard to keep competitors out of home markets. The UK is already halfway down this road. In January, at the regulator Ofcom’s request, BT published terms and conditions (the so-called PIA reference offer) for access to its poles (£21/pole attachment/y), ducts (£0.95/m/y)and other physical infrastructure. This was heavily hedged, denied use of the facilities to competitors who wanted to use the ducts to sell leased lines, and insisted on reciprocal access to competitors’ networks. In addition, Fujitsu Telecom, with Virgin Media and TalkTalk, claimed BT’s prices were four to five times their actual cost. The BT offer was rejected by both competitors and business users. Following its inability to attract anyone to test its PIA scheme, BT was expected to deliver a revised reference offer by the end of September. Ofcom and BT did not respond immediately to queries as to whether the commission’s consultations would affect the PIA reference offer timetable. Ofcom says it won’t. BT is presumably busy with a power failure at a Birmingham exchange which shut down many subscribers’ broadband for hours and got it trending on Twitter.